We are thrilled to announce the inaugural Yuengling Gold Rush 5k! Join us in Pittsburgh on June 30, 2019. The race will start and finish at Stage AE in the North Shore. Stick around for our after-party featuring the Yuengling Golden Pilsner beer garden, music, entertainment and so much more! A Schuylkill County favorite, Mrs. T's will be selling Classic Cheddar Mini Pierogies two ways – with butter and onions and tossed in Yuengling Wing Sauce at the post-race block party! All proceeds will be donated to Operation Gratitude. Mrs. T's Pierogies, stuffed with the stuff you love! 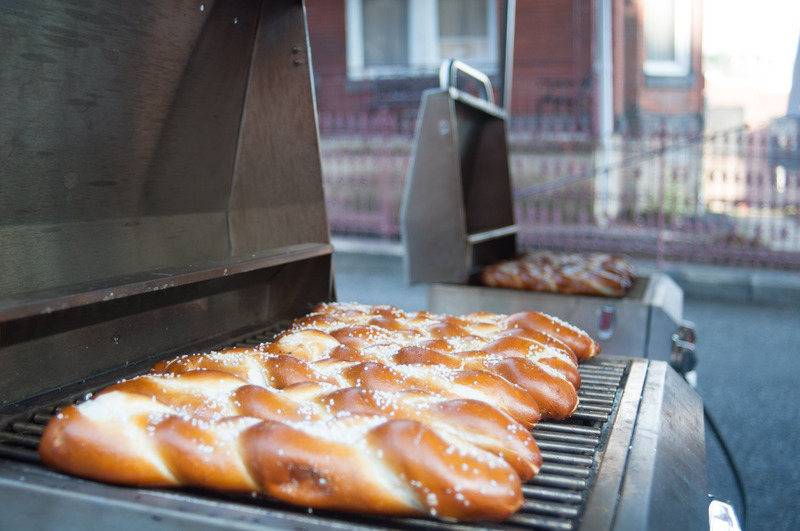 They will be selling foot-long South Philly soft pretzel braids served warm off the grill! Peace Frog Natural Foods sells CBD products, SUPPLEMENTS, body care and aromatherapy diffusers and oils, Birkenstocks, UGGs, Dansko’s, Sanuks, Vionic, Alegria, and Earth Shoes, as well as detox’s, and organic foods and many gift items. They also have a naturopath in house for nutritional consultations and a Spa and Salon next door. Peace Frog will be raffling off a pair of Birkenstock’s, CBD oil, Peace Frog t-shirts, a massage from the Spa at the Plaza, and a cut and color from Trio Salon. Stop by their booth on race day and get your coupon 20% off the entire store AND a free chair massage! Protecting the active and retired Police Officers of the City of Pottsville! The Pottsville FOP will be at City Hall, pre-race packet pickup and at the post-race block party selling their famous Yuengling Light Lager Jogger 5k shirts! This is the first year they have gone went with dri-fit material. They have sizes from small up to 4XL and they come in black and navy blue. Prices are $15.00 per shirt for small up to 2 XL and $20 for 3XL and 4XL. They can accept payment from the Venmo App @Joseph-Krammes or cash on delivery. They will be selling coffee, tea, baked goods, fresh fruit & egg sandwiches! Hosted by the Blue Ribbon Cancer Coalition of Pennsylvania, the seventh annual ZERO Prostate Cancer-Lehigh Valley 5k Run/Walk will be taking place on Saturday, August 24 at the SteelStacks in Bethlehem, PA! The race is a part of a national series that raises funds for prostate cancer awareness and screening. Hosted by Delaware Valley Urology, the second annual ZERO Prostate Cancer-South Jersey 5k Run/Walk will be taking place on Sunday, November 3 at Valenzano Winery in Shamong, NJ! The race is a part of a national series that raises funds for prostate cancer awareness and screening. ZERO is proud to partner with MidLantic Urology to end prostate cancer with Philadelphia's first 5k ZERO Prostate Cancer Run/Walk on September 8, 2019 at Wilson Farm Park. The 2019 ZERO Prostate Cancer Run/Walk - Philadelphia features a 5K run/walk, 1 mile walk, Kids' Superhero Dash for Dad, and virtual Snooze for Dudes program. Stick around for the family-friendly post-race celebration. Run/walk participants will receive shirts, free food and prizes, and the opportunity to connect with others who are impacted by prostate cancer. Murphy Jewelers was founded over 100 years ago in Downtown Pottsville, traveling door-to-door in a horse and buggy repairing school house clocks. Today, in their 4th generation of family ownership, they've grown to offer three store locations and world-renowned designers. Since 1913, they're proud to be Pottsville's hometown jeweler! They are thrilled to donate a custom Yuengling Light Lager Jogger necklace to the top female finisher, as well as an Alor mens bracelet to the top male finisher! You can also catch them at the post-race block party, where they'll have a selection from their downtown store — including Qalo wedding bands: functional wedding rings made of silicone in a variety of styles & colors for active lifestyles (ranging from $20-$30). Beer Bread made with Yuengling Lager, available in mini size too! Handcrafted Peanut Rolls, Organic Triple Nut Clusters & Dried Blueberry, Chocolate Covered Pretzels. Are you tired of the limited knowledge base, inconsistent service, and overall atmosphere of a Big-Box store? Are you in search for the personalized, hands-on experience that you deserve when shopping for your walking, running and fitness needs? Look no further. At Fleet Feet West Reading, you will experience passion, energy and enthusiasm like none other, all of which happens daily at your local running specialty store! Fleet Feet West Reading will be selling previous/soon-to-be-updated footwear models at 40% off! 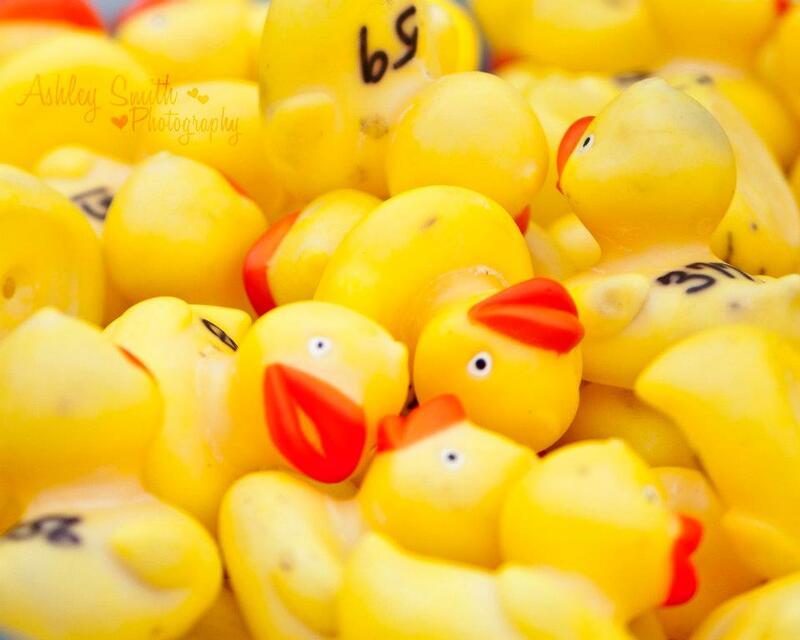 Avenues will be selling duck race tickets at $5 each for the 31st Annual Avenues Foundation Duck Race, which will be held Sunday, April 28, 2019. 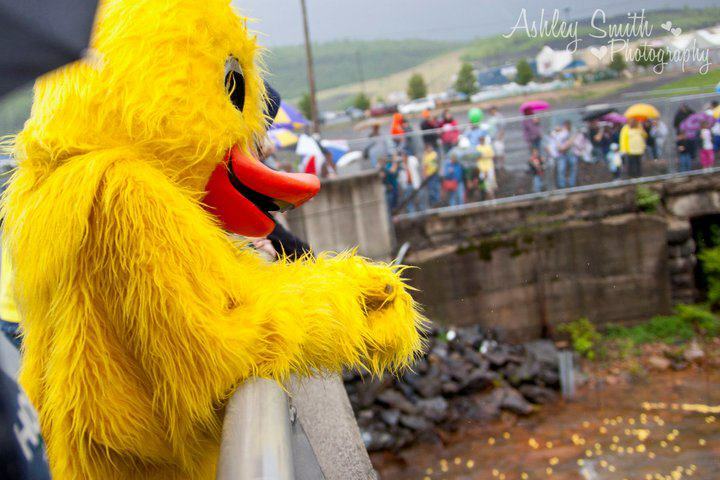 For the winning ducks that cross the finish line, the first prize is $1000 CASH and 24 other prizes valued at $100 or more. All proceeds from the race benefit individuals with developmental and/or acquired disabilities that attend Avenues programs in Schuylkill, Lebanon, Carbon, Northumberland, and Luzerne Counties. Phoenix Rehabilitation and Health Services, Inc. provides physical therapy services that provided orthopedic rehabilitation. They will be offering Lager Joggers athletic screens, post-injury screen, PT service information, T-Shirts, information packets, and other goodies. Caribbean Cuizine caters to all needs Caribbean and Southern style food. They also serve vegan, vegetarian and gluten-free dishes. They will be selling Jamaican Jerk Chicken, pulled pork sandwiches, kabobs, beans and rice, macaroni and cheese, empanadas, fruit cups, roasted corn on the cob, curry flavor dishes, chick peas masala, humnus, & potato filling. 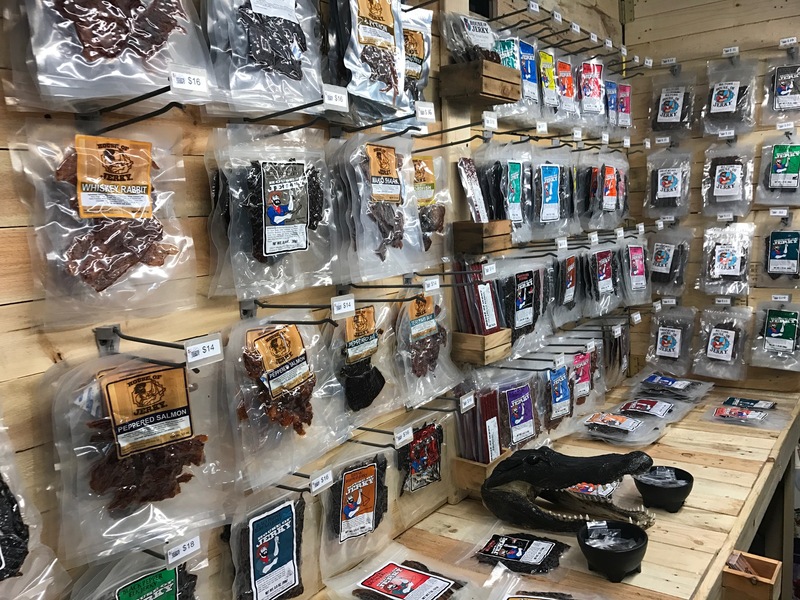 We offer a wide selection of beef jerky, along with a variety of exotic jerkys like alligator, kangaroo, shark, python, and salmon to name a few. 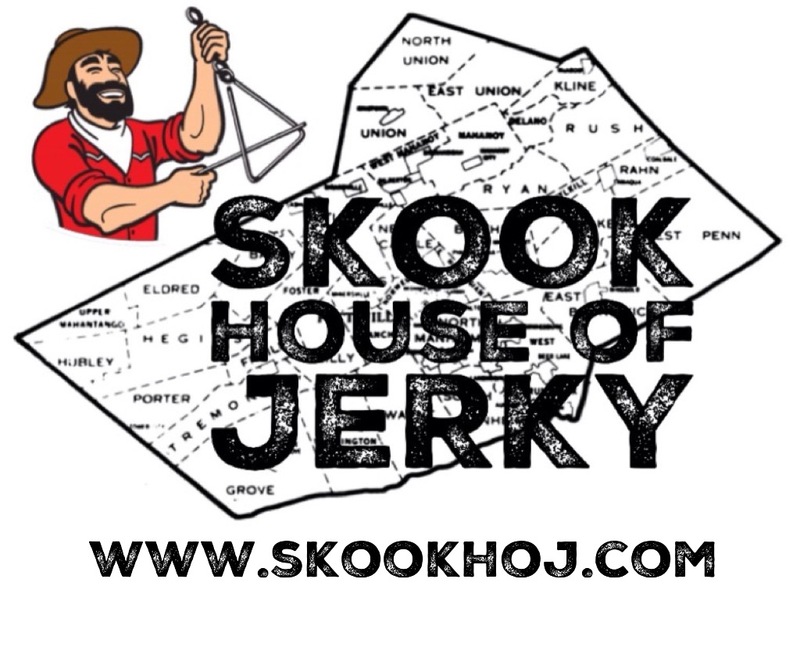 We also carry Pineapple jerky and have just added ostrich and pet-friendly jerky. They will be offering a $50-$60 value gift basket for the top male and female finisher! The Pottsville Kiwanis Club was chartered February 26, 1919. We are dedicated to serving the children of the world one child at a time. 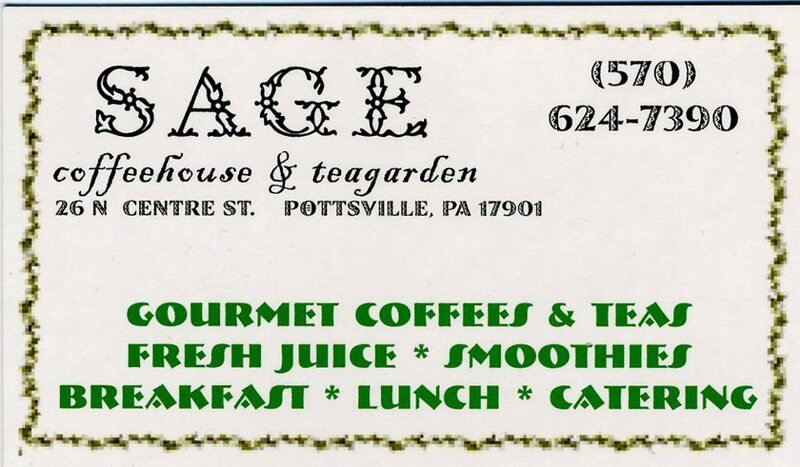 We meet Tuesdays at 12:15 p.m. at the Pottsville Zone. The Pottsville Kiwanis Foundation is a 501(c)3 charitable organization supporting many projects benefitting local young people including early learning workbooks as well as community service, music, nursing, business and academic scholarships. They will be giving out rally towels, pens, sunblock on race day! Physical therapists will be available for post-race stretching. 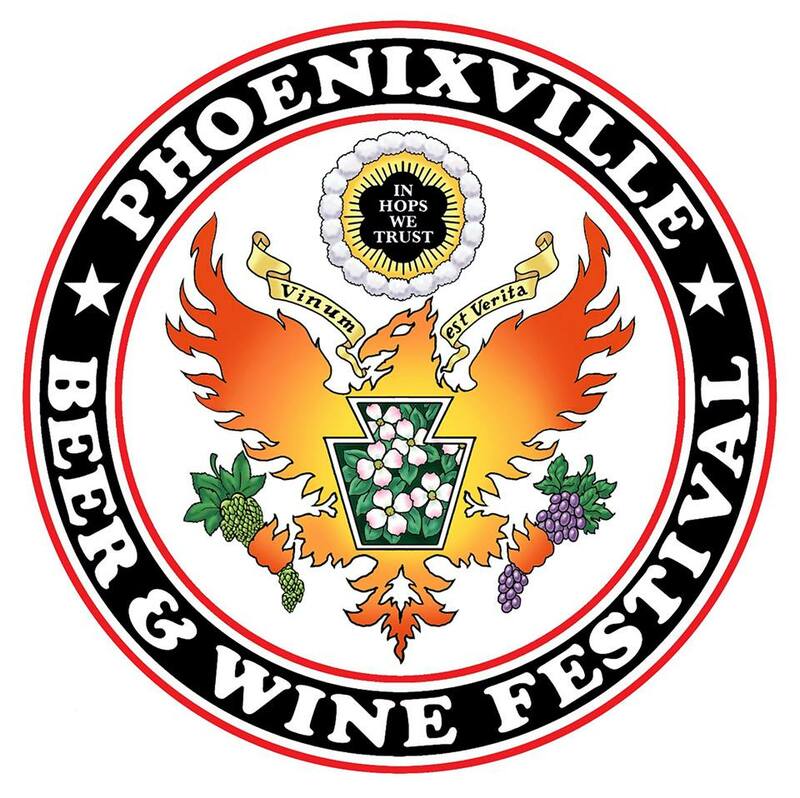 At the third annual festival, attendees will sample more than 150 craft beers, wines, meads, ciders & spirits. Guests will enjoy live music and browse local artisans’ wares. A variety of food choices will be available from regional restaurants and food trucks. Welcome to Wahlburgers! A better burger concept by Alma Nove founders, Executive Chef Paul Wahlberg and brothers Mark & Donnie Wahlberg. Come check out their food truck at the post-race block party! Something Sweet Candies offer a large array of candies, ranging from gummies to old fashioned hard candies, novelty treats, and chocolates. They are also supplying a candy bouquet to the top male and female "Little Lager Joggers" <10 age group category. Make sure to stop by their table and get something sweet! 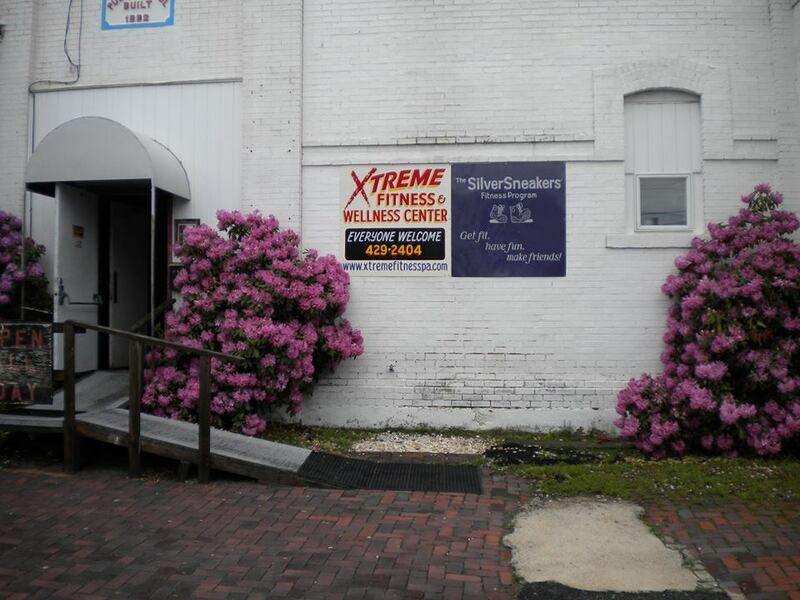 Xtreme Fitness is a family-owned and operated gym located in St. Clair, Pennsylvania. They offer fitness programs for all ages,genders and fitness levels from step-interval aerobics to a vareity of martial arts. Adelphia Seafood is the region's leading fresh fish and seafood provider. 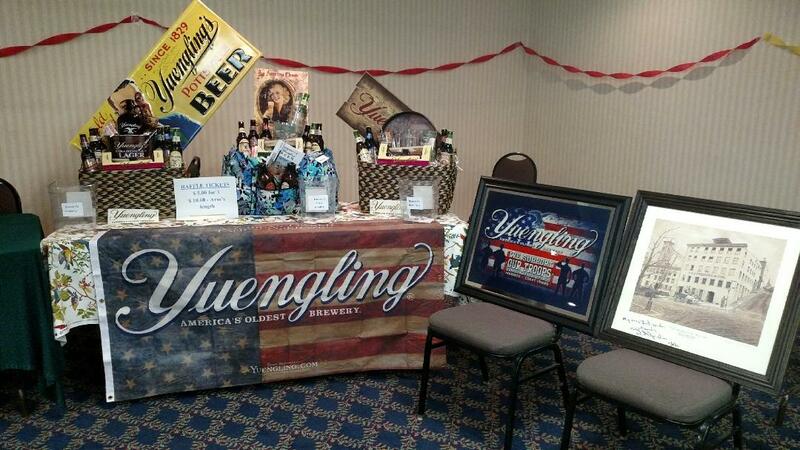 They will be selling Yuengling-battered fish and chips & Yuengling-battered shrimp and chips. Your First Mud Run, is a "Mud Run for everyone!" With 10 locations throughout the Northeast you can bring the whole family to the most fun event in the nation for kids as young as five and their parents and siblings. Your First Mud Run is also perfect for anyone who wanted to try an obstacle race or a mud run and is looking for a great entry-level event. We are perfect for "First Timers." This great event is also set up so that any team, business, charity or any organization can raise money through our fundraising platform, and everyone in your group gets to take part and had a ton of fun. They will be offering the biggest discount of the year at their table so make sure to stop by! For runners want to represent the Keystone State! RunPA.org will be selling trucker hats and other runner soft goods on race day and pre-race packet pickup. US Army Recruiting Center- Pottsville will a have table and tent on race day. They will hand out Army Water bottles and bracelets to the runners and spectators. They will also have Army pamphlets detailing Active and Reserve Army service for those who may be interested in learning more. Our vision is a world without Alzheimer's. Our mission is to eliminate Alzheimer's disease through the advancement of research; to provide and enhance care and support for all affeted; and to reduce the risk of dementia through the promotion of brain health. We're promoting the Schuylkill County Walk to End Alzheimer's. They will be selling some of their on-the-go favorites: Kielbasy Mac & Cheese, Kielbasy Cheesesteaks, and Kielbasy on Tap, Kielbasy infused with Yuengling Lager! YOU MIGHT BE OUR WINNER! We are a fourth generation, family owned business. We have been manufacturing children's shoes in Orwigsburg, Pennsylvania since 1888. As the oldest children's shoe manufacturer in the United States, we provide high quality footwear to boutiques and shoe stores across the country. At the event, we will showcase a variety of styles and sizes for sale. The DAWGS Prison Program will be in attendance at the race featuring available dogs (weather permitting) looking for their forever homes. We will also have a raffle basket in which proceeds will benefit our non-profit rescue. The Colonial Beach Plaza Bed & Breakfast is located just 4 hours south of Pottsville, PA. Located on a peninsula in eastern Virginia, surrounded by the historic Potomac River and Monroe Bay, Colonial Beach is steep in history. Birthplace of both George Washington and James Monroe, the town boasts beautiful beaches, scenic bird watching, and a family friendly beach atmosphere. Escape to the Colonial Beach Plaza Bed & Breakfast to enjoy complimentary appetizers, craft beers and wine, farm fresh breakfast, Yuengling game room, heated pool and cabana, and scenic waterfront running trails. Everyone attending the Yuengling Lager Jogger will receive 10% off their stay along with a complimentary bucket of Yuengling beers upon check-in using the coupon code YUENGLING during booking. Makai Clothing Co. is an online retail store where we donate a portion of each sale to helping save the endangered sea turtle species. are proud to be able to offer you this service. in Schuylkill County and we are a LOCAL Cable Television Company. We will be selling our “Drinkin’ Pretzels” we have 6 flavors and 2 sizes. We flavor each small batch by hand in our bakery in Pine Grove. These dip mixes are very versatile! Use them as a traditional dip mix, mix up a cheeseball, as a dry rub, on your veggies, and as salad dressing. Easy to use with a long dry shelf life, easy to make, priced reasonably, and delicious! Orders for pick up or shipping (free dips will be included to help cover the cost of shipping) can also be placed via email, or on Facebook. The Pottsville Business Association will be hosting a lottery ticket raffle. $2 per chance; $5 for 8 tickets. 1st, 2nd and 3rd place prizes! Winner will be announced after the race. 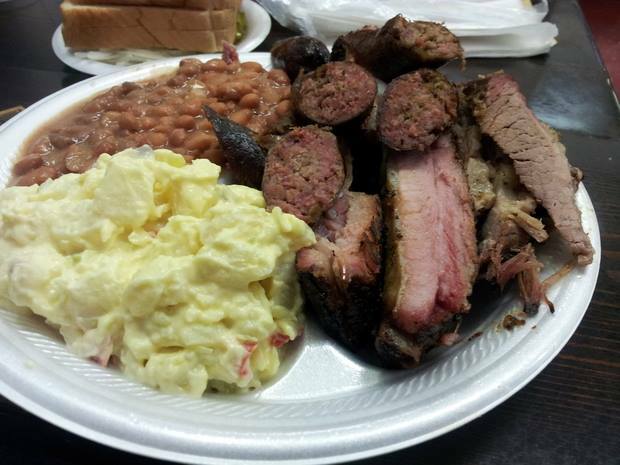 They will be selling BBQ Sandwiches (pork, brisket, chicken) and soda/water.